This section of the quilt-themed book has photos through the years of Christmas nightgowns and pajamas that my mother made for her granddaughters. 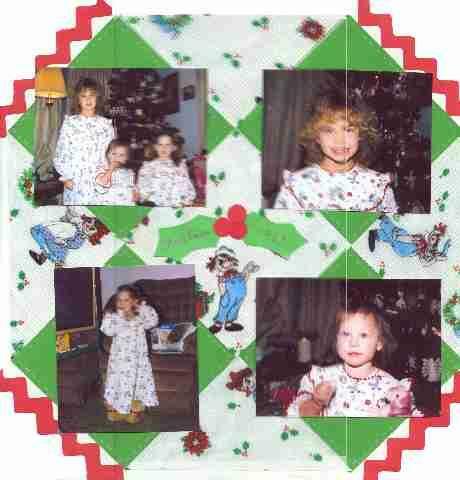 I still had the nightgowns, so I scanned them and printed out paper to match the Raggedy Ann fabric in the nightgowns, which I then used in the quilt block. The gowns were trimmed in red rickrack, so I used the giant zig zag scissors to make rickrack trim.